A brand new interview to MIKAMAI‘s technical director Giovanni Intini about MIKAMAI and many unconventional projects. Stay tuned for the English translation. 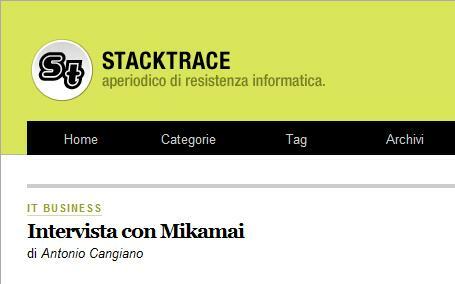 I had the pleasure of working with 30 brilliant techies for the launch of Stacktrace, an Italian website about technology in its various forms. Stacktrace was and idea of Antonio Cangiano. 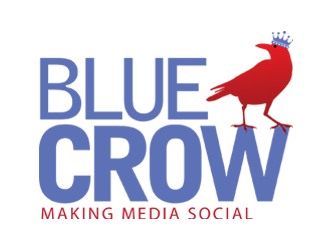 He felt that Italy missed an authoritative and original technology reference, and contacted about thirty of the best Italy has to offer, people I am very proud I could work with, to prepare the lightning quick launch of a wonderful site full of original, well written and interesting content. If you can understand some Italian you should check Stacktrace. You’ll be glad you did.